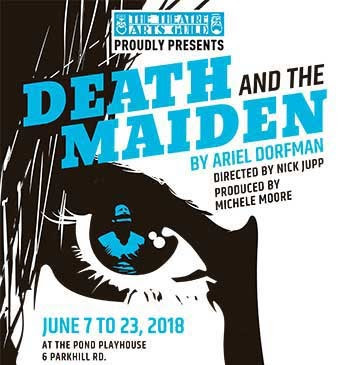 From June 7 to 23, the Theatre Arts Guild presents Death and the Maiden at the Pond Playhouse in Halifax. Ariel Dorfman’s award-winning drama tell the story of a political activist who was imprisoned, tortured and raped, and demands us to consider fundamental questions about the nature of justice. Recently we spoke with director Nick Jupp about the production, and about his own passion for theatre. Grew up in Rickmansworth, Hertfordshire, UK and was vaguely aware of my father's involvement with the local amateur theatre. At the age of nineteen I moved to Montreal for a full summer of Expo 67 excitement, funded by working at the northern stores warehouse of the Hudson's Bay Company. Not really having any plans I stayed on in Montreal, got a better job, went to school some more and after a few years was transferred to a head office job in Ottawa with my new Canadian wife. 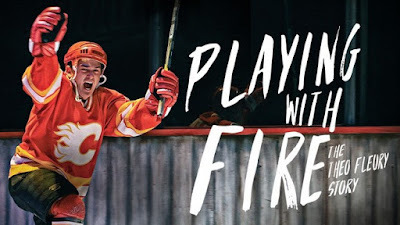 By continued transfer we eventually settled in Halifax, turning down a move to Toronto, and by 1980 were living close to The Theatre Arts Guild with a growing family. When and why did you first get involved with theater and the performing arts? One of our kids many after school activities was Neptune Theatre School where respective parents shared driving for school classmates Oliver Jupp and Anthony Black. Son Oliver eventually gave up drama for a spot on the Nova Scotia Canada Winter Games fencing team and Anthony went on to create 2b Theatre. My involvement started in 1992 with an audition at TAG as an enticement to get my son to audition for a kid’s role. I got a part and he didn't. Today the many different aspects of theatrical production make an excellent hobby. Variety is the spice of life and theatre has more than its fare share. Theatrical production has all the aspects of a business crammed into a few short weeks. The product delivery date (opening night) cannot be moved but the artistic and technical team has to be put together with a presentation ready for the public. It's a logistical and planning nightmare that needs to be tamed and smoothed with tact and consideration. Reaching opening night with all the artistic and technical participants feeling good and happy with the result. If the audiences feel the same way that's even better. What makes for good theater? When an audience connects with the characters on-stage good things happen. They may feel sympathy or perhaps anger or some other emotion but when a connection is made good theatre is the result. A fine story is important but without character-audience connection a great performance can't happen. Over ten years ago I submitted Death and the Maiden to TAG's Artistic Director at the time and then mentioned it again more recently requesting the directing job. To see a woman who fifteen years in the past during a brutal dictatorship was grabbed off the streets by authorities and brutally abused get her chance for retribution. She is one of the strongest women audiences will ever see on stage as she overcomes objections, reasoning and lies to make her own decision. What are your thoughts on the current state of theater in Halifax and Atlantic Canada? Halifax theatre is thriving with more professional and amateur productions underway than ever before. 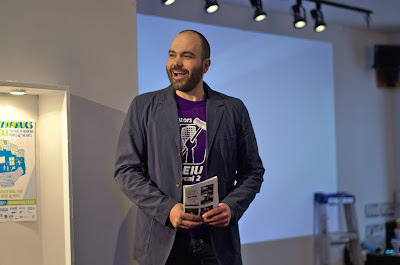 Along the way I started wring plays that have been produced at festivals, The Fringe, TAG etc. Next winter I plan to spend writing and we'll see what happens after that.